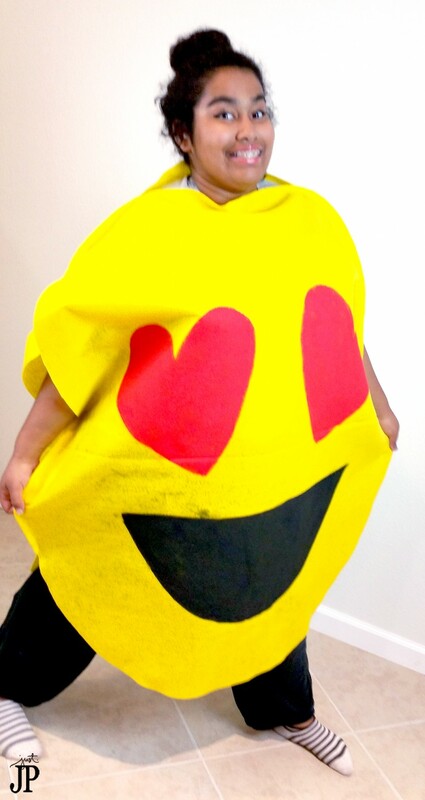 Emoji costumes are everywhere this Halloween! 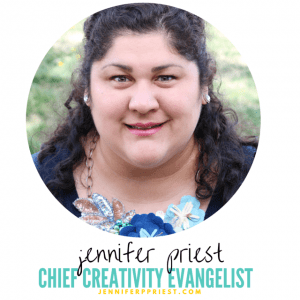 They are actually super easy to make – you just need felt, glue, and fabric paint. For reals, it is that easy! 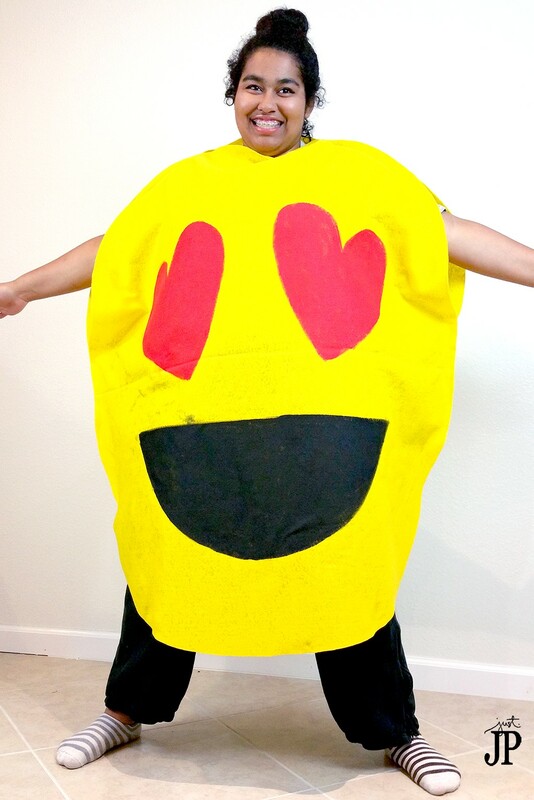 I created two emoji costumes that you can make custom for anyone of any size using felt that you can find at Walmart for less than $4 a yard. 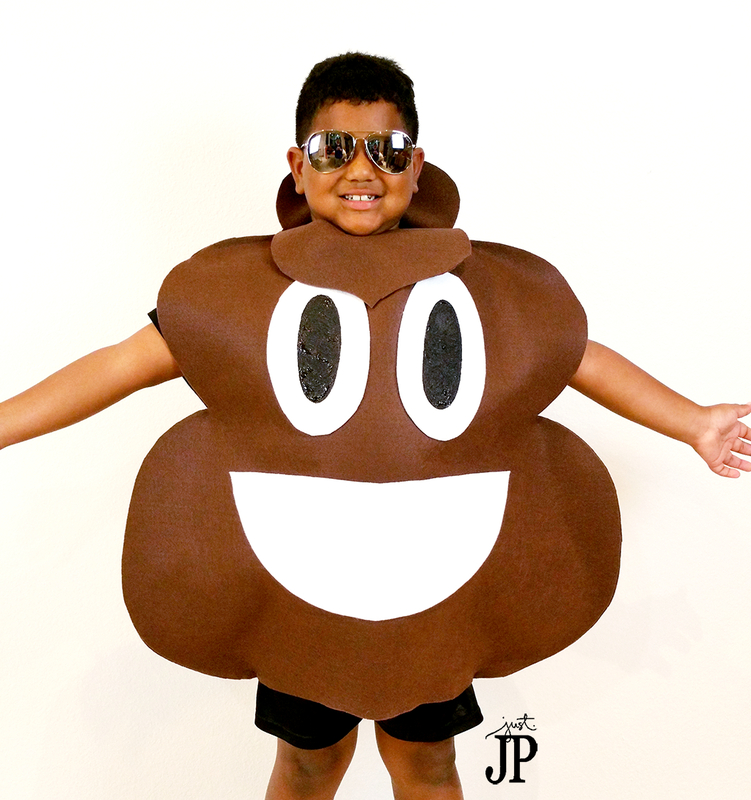 Here's our two DIY emoji costumes for under $25: Poop Emoji Costume and Heart Smile Emoji Costume. This costume is super cute and it's easy to make for anyone. Use more fabric for adults, less fabric for kids. The other bonus is this costume is comfortable and washable so if you spill lots of candy on it, no worries. Making this costume will take you about an hour plus dry time for the fabric paint. 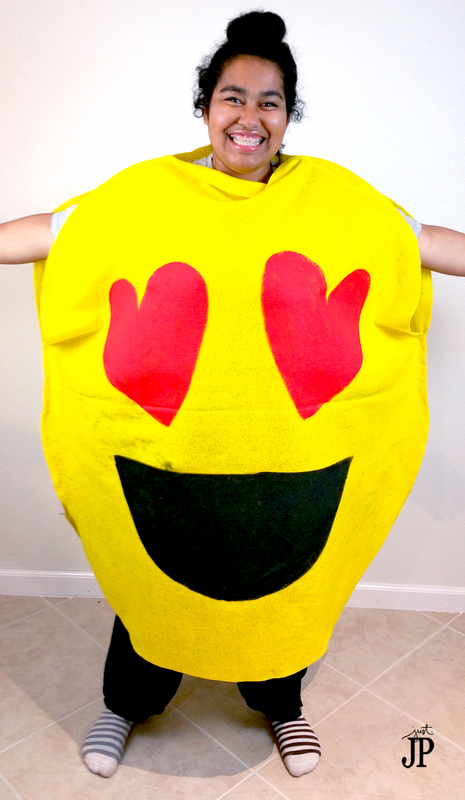 If you don;'t want to wait for the fabric paint to dry, use felt for the heart eyes and mouth of the emoji and glue the pieces on. 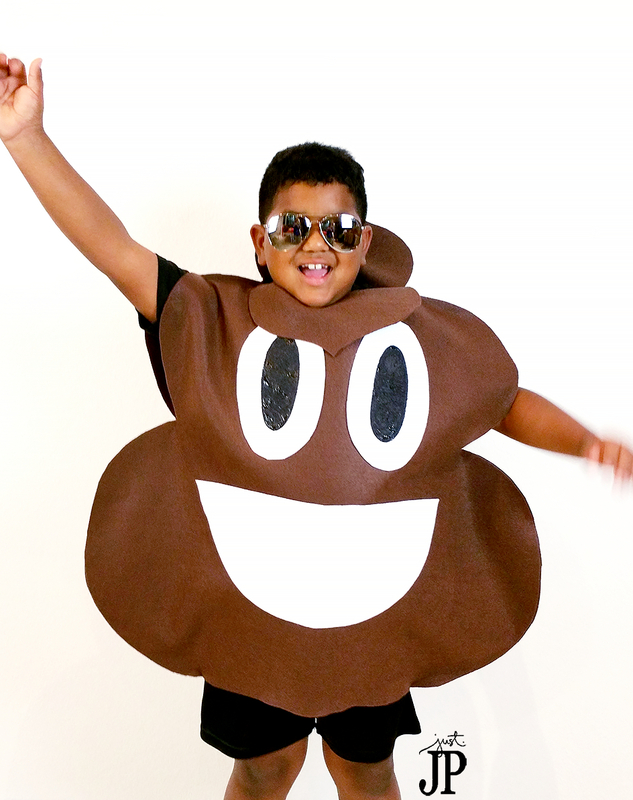 I use this technique on the Poop Emoji Costume at the end of this post so watch that video to see how to draw the giant emoji parts. TIP: If using Tulip Soft Fabric Paint to paint the hearts and mouth, allow 2 days for the paint to dry. The felt is made from recycled plastic bottles so there are no fibers to actually absorb the paint (unlike cotton). The paint sits on top of the felt and has to dry onto itself, which seems to take around 36 to 48 hours. You'll need 2 yards of felt for a kid costume and 3 yards of felt for an adult costume. The felt comes folded in half – keep it folded when measuring (they'll do this at the store if you buy it at Walmart or another retailer). Cut the length of felt in half to two 1 yard x 72″ wide pieces (1.3 yard by 72″ wide for adult size). Layer these two pieces one on top of the other. Fold the felt in half. Then fold it in half again, the other way (result is folded in quarters). Cut a curve from one open corner of the folded felt to the other open corner so that when you unfold it, you have a circle. Practice with a small piece of paper before cutting into the felt. I use Westcott ExtremEdge Adjustable Tension Titanium Bonded Scissors, 8″ Bent because they can cut through all these layers of felt at once. You might need to cut one circle and then use it as a template for the cutting the second. Unfold the felt circles, leaving them stacked. Place pins along the edges that will be glued, usually at the shoulders and under the arms. Leave at least an 18″ opening for the head and 12″ per arm. Leave the bottom open. Apply Aleene's Felt and Foam Tacky Glue to the shoulders and under the arms to seal. Allow to dry for an hour. Insert a plastic garbage bag or plastic sheeting inside between the layers of felt. This will stop the paint from seeping through from the front layer in case you put too much on the felt. Draw the heart eyes and mouth with a marker. I sketched it out roughly so I could get a nice shape on each. Paint the heart eyes with Tulip Soft Fabric paint in Red and the mouth with Tulip Soft Fabric Paint in Black using a Tulip Fabric Paint Brush. Allow to dry for 36 to 48 hours. Tip: To prevent fabric paint from leaking through to the back of the costume, insert a plastic bag between the layers before painting. 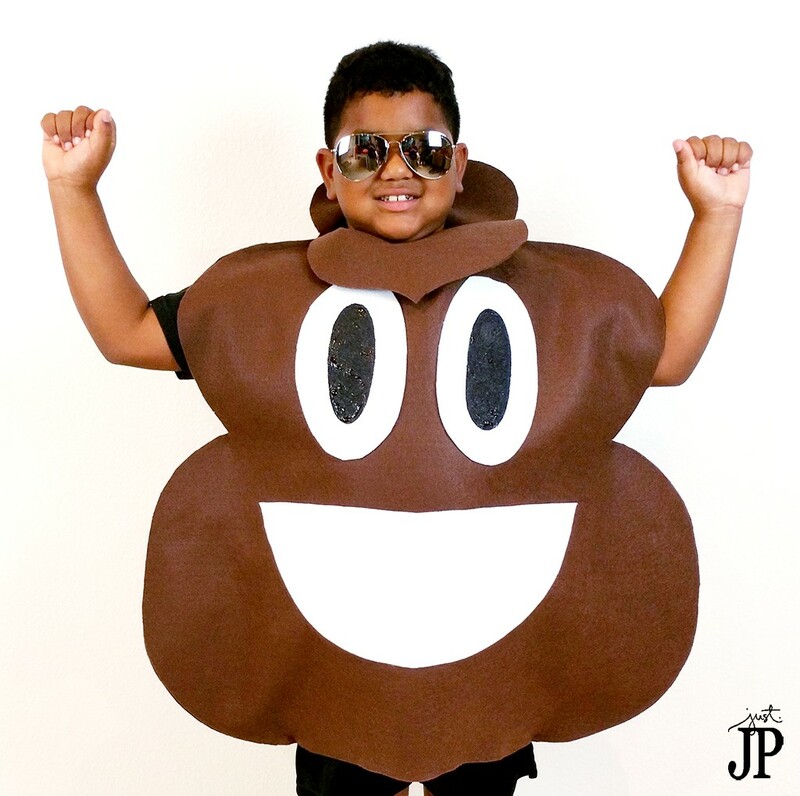 I posted a photo of this DIY Poop Emoji costume on Instagram and everyone loved it! How can you not love a smiling pile of poo?! hahahaa! 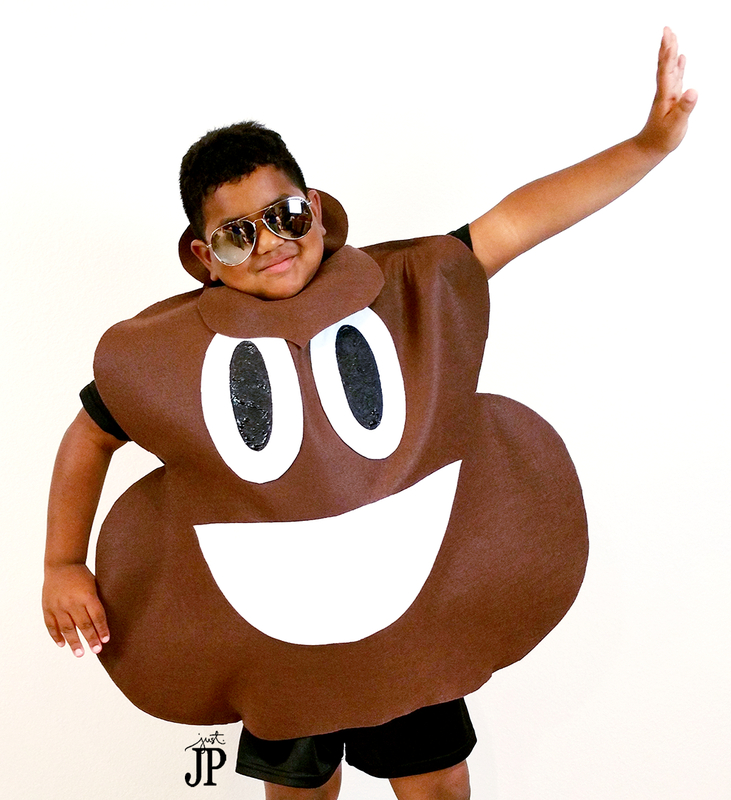 As soon as Matt saw this Poop Emoji costume, he claimed it as his own. He paired with these really jerky looking glasses we got at Santee Alley in DTLA and the whole outfit was born. You'll need 1 yard of 72″ wide Kunin Eco-Fi Plus Premium felt for a kid costume and 2 yards of 72″ wide Kunin Eco-Fi Plus Premium felt for an adult costume. The felt comes folded in half – keep it folded when measuring (they'll do this at the store if you buy it at Walmart or another retailer). With the felt folded in half, lay it on the table so that the longer side is vertical (portrait orientation). Fold it in half vertically so it is tall and thin and 4 layers of felt thick. Sketch out half of the poop emoji shape from the fold out to the side. Cut the half poop emoji shape from the folded felt. Unfold to reveal the full poop emoji, leaving them stacked. Trim as needed. The top of the poop emoji is not symmetrical so you will need to cut this by hand. Place pins along the edges that will be glued, usually at the shoulders and under the arms. Leave at least a 18″ opening for the head and 12″ per arm. Leave the bottom open. Draw the oval eyes and mouth onto white felt with a marker. I sketched it out roughly so I could get a nice shape on each. Cut out. Apply Aleene's Felt and Foam Tacky Glue to the back of the eyes and mouth. Press in place on the front of the poop emoji. Allow to dry for an hour. Paint the center of the eyes with Tulip Slick Dimensional Fabric paint in Black. 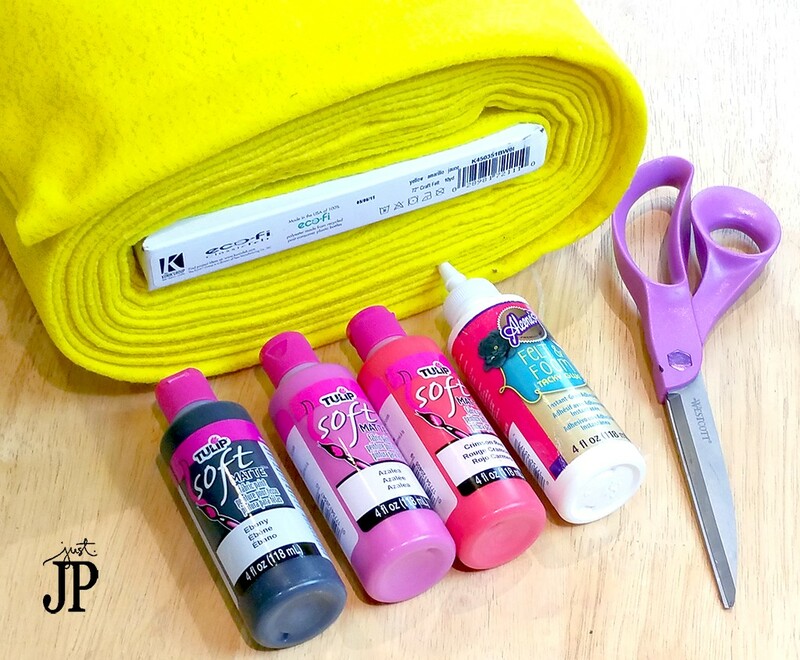 This paint has a applicator tip that you can use to spread the paint around on the felt. Allow to dry for 12 to 18 hours. Tip: The Aleene's Felt and Foam Tacky Glue I used on this project is new. 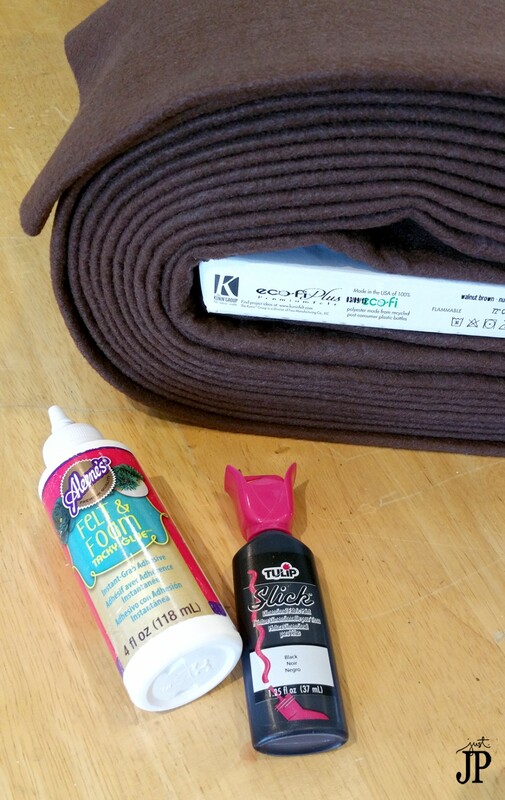 It seriously is the best glue I have found for gluing felt and I highly recommend using it for this project. Order it on Amazon using the link below in the supply list. 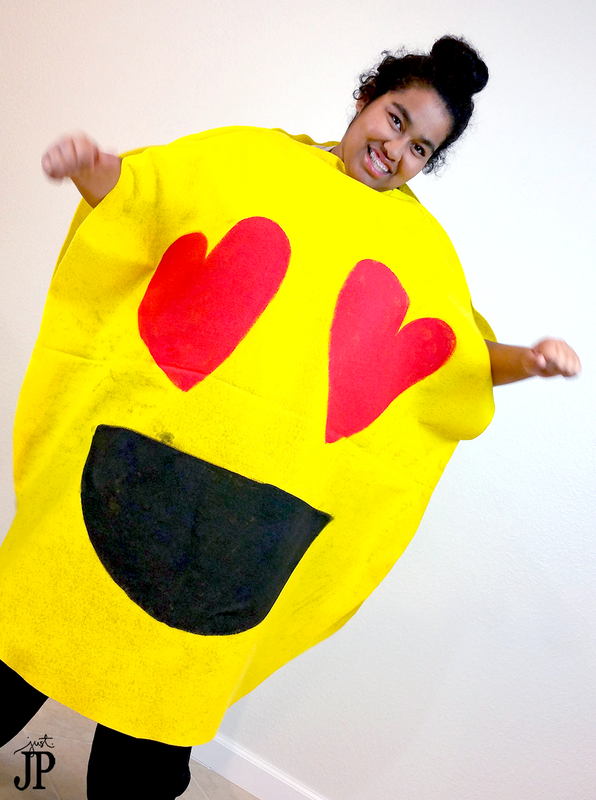 Which emoji costume will you make this Halloween? You will have time to make these before Halloween!!! These costumes are hilarious! Any teen would love them. Awesome job!! Great to see you again on craft schooling Sunday, great costumes! I’ve made many costumes with felt in the past, and I would say that “washable” is true, but the felt pills and after washing you probably wouldn’t even consider wearing the costume…..of course this may be because I use the really cheap felt, but I have a feeling that applies to all the synthetic felt. all the best! Jennifer. My daughter and I love the emojis. She has been asking to be a poop emoji! Thank U for sharing your talent! I will let u know how they come out! Oh my gosh I would love to see this! Be sure to get the Aleene’s Felt and Foam Glue – it dries flexible whereas hot glue will be stiff and hard. Be sure to cut it way bigger than she is – at the end of the YouTube video I show how big the poo emoji costume really is. I hope that helps! Is it easy to take off and put on? Yeah, just slips over the head 🙂 Like a tshirt. I literally just made this. May not have did exact same way but thanks to you and your video I was able to make it work. Super east and absolutely love it! Thank you! Hilarious! Emojis is a great idea! Thanks for sharing.